Put some sting into your jewelry collection. 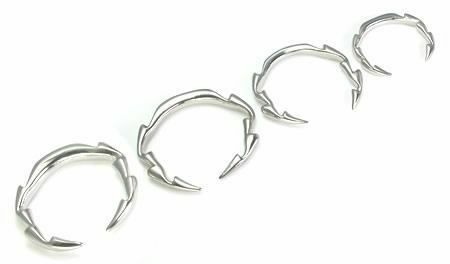 These steel casted pinches can be worn in its original form or you can add a ball and turn it into a captive ring, giving the piece a totally different look. These pinchers come in 4 different gauge sizes (12g, 10g, 8g and 6g). This versatile piece can be used for many piercings, but they are typically used in the ears.